One method that you may be interested in looking into is killing them with heat. If you have not even heard of this method before, you certainly need to read about it and decide if it is right for you. Do not let these parasites ruin your life. Do not let them invade your home. If they are already there, you need to take all of the steps that you can to dislodge them from this position and kill them all. Killing them with heat is simple and effective, making it one of the best tactics that you can choose. Killing them with heat simply entails getting the interior of your home up to a level of heat that they cannot survive. If you have ever been in a sauna, you know just how intense it can be. You know how it reaches every corner of the building, allowing no escape unless you exit the building altogether. Since you cannot see all of the bugs or all of their eggs, you need this sort of a treatment since heat can hunt them down for you. There will be no need to locate their nests when your entire home has been heated up until it is a death trap for these bugs. You will need to get a heater and have it put in your home. In order to get a large enough heater, you should hire a professional. He or she will know how to set things up so that the process is fast and safe. These are two things that you really want when your home and your family are involved. The professional will also be able to monitor the process to make sure that the home is hot enough for a long enough period of time. If this is not carefully watched, these bugs might be able to survive what was thought to be a lethal amount of heat. Generally speaking, your home will have to be heated up to 140°F and held at this temperature for two hours. Alternatively, you could have the home brought up to a temperature of 130°F and held at that level for three hours. As you can imagine, you do not want to be in the home while it is this hot. Not only does this give the bugs a way to escape by climbing onto you and the going with you when you leave, but it can pose health problems. Even when you are in a sauna that reaches these same temperatures, you are not inside for nearly so long. You will have to find a time when no one needs to be home for the duration of the treatment if you want to begin killing bugs with heat. If you have the time, this is very much worth it. Before you use this treatment, make sure that the heat will not be able to escape the building. You may need to caulk cracks in the walls, especially around windows and doors. Foam can also be used. These things are inexpensive, so you really want to utilize them where you can. This also works because the heat can move to every part of your home. Each room will grow hotter and hotter. The beds, sheets, mattresses, and linens will all get hot. The bugs will be found out and killed no matter where they are. Killing them with other methods means that you have to find them. You have to hunt them down and kill them where they are. With heat, you can just sit back and wait for them to die. No matter how well they hide, they cannot get away from the heat. They will try to do so, no doubt, but there will be nowhere for them to go. While sprays and powders make small areas very dangerous for them, heat makes the entire home a place that is filled with danger. First, you should consider what it will cost in time. This is a big problem with other methods, some of which are discussed below. For example, you can freeze the bugs. This will take two to three days, however. Do you really have that much time? Can you afford to stay out of your home for days on end? If you are like most people, this is out of the question. You just cannot leave your home for that long, so you need to find a method that will have the same impact in a much smaller timeframe. You will need to allow some time for the home to reach the desired temperature, as well, since the high temperature needs to be maintained for a full two to three hours. You should also think about the time that you need to spend getting ready to have the home heated up in order to kill the bugs. You will need to close all of the windows and doors. You will need to close up all of the cracks with caulk or foam. The house has to be airtight so that the heat will stay inside. If you live in an older home, you may spend a few hours doing this. Most new homes will not have nearly as many defects, however, since they will not have been exposed to as much wear and tear. You will be able to get them ready to go in under an hour. Next, you need to look at the monetary costs. If you want to buy the unit yourself, you would have to pay around $50,000. The heating unit can be brought in on the back of a truck. For those who are looking to do this job just once, the best option is simply to hire someone who has already purchased the unit themselves. In order to rent the machine, to hire the services of a professional, you can either pay an hourly fee or a flat fee for the job. Most places will charge you this flat fee since they know how long it will take. They can figure out how long it takes them to set up and take down the machinery. They can then add in the two to three hours for which the temperature of the home has to be kept at around 140°F. They will charge you for this amount of time no matter how long it really takes them to do the job. Paying this way can be nice since you do not have to worry if there are complications. If something goes wrong and it takes them two extra hours to do the job, you will not have to pay any extra money. You can be sure that they will work as quickly as possible. The faster that they get the job done, after all, the more money they can make per hour. Paying by the hour has its advantages as well, however. You can sometimes get a lower rate this way. If the job takes less time than anticipated, you will save money. The drawback is that you will have to pay more for any delays or complications that arise during the heating process. It is hard to say exactly what you will need to pay since the amount varies with the size of your home, the amount of buildings that need to be rid bugs, the and many other things. You may even have to pay more if you live in the country and the heating company has a long commute to your home. Very small homes can be done much more quickly and with less equipment than large homes, so the cost is not the same at all. You need to get an estimate if you want to be sure what you will have to pay so that you can decide if this treatment is right for you. In order to fully understand how effective heat can be, you need to consider some of your other options as well. For instance, you can use a very strong vacuum to remove the bugs from your home. Another option that you have is to use portable steam cleaners to work on the furniture and the mattresses. This works very well for these pieces of furniture. You can hurt the population a lot by doing this, but you will not get all of them. Those that are left will start laying eggs, and the population will increase back to what it was before. Since heat kills bugs in every part of the home, along with the eggs, it is more effective than a steam cleaner. A portable steam cleaner can be purchased for around $600; this is the compact version that can be carried by hand. A heavy duty steamer will cost around $1,700. Secondly, you will have sprinkled a poison in your home. While it is deadly to bugs and not to humans, you probably do not want to have it in your home where it can get on your skin, in your eyes, or into your food. You will also not be able to get the powder everywhere, meaning that the heat is still a better option. You can buy an entire five-gallon bucket of powder for under $30. If you do not need this much, smaller amounts are available for as little as $4. How much this will really cost depends on the size of your home and the size of the infestation since these things regulate how much you will need. You can put down traps for the bugs that trap them so that you can dispose of them. Some traps can also kill them. While this is better than doing nothing, it is not your best option. The traps are not proactive enough. You can get a good trap for right around $30. You can even find them for as little as $13, if you would like. Keep in mind that you will probably want to buy multiple traps. An alternative method to heating is exactly the opposite: Freezing. This is very effective, though you may have to keep the home at a temperature that is below 32°F for a number of days. This is also very hard to do since it simply has to be that cold outside. If you live in a warm area, there is no chance that this will work. If you live in a cold area, you need to have a string of incredibly cold days in order for the temperature never to go above freezing. You also need to take care not to freeze and break your water pipes. This is highly effective, but heating is better because it is faster and easier to do on your own schedule. 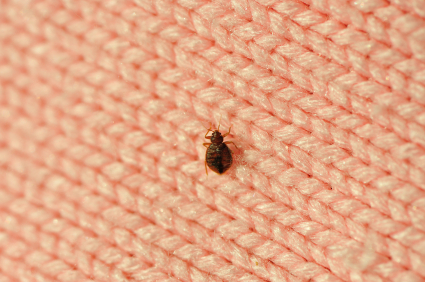 A dryer can be used for clothes that contain bugs. This is not a good way to treat your entire home, of course, but blankets and clothes can be taken care of in a mere fifteen minutes. The drier gets so hot that all of the bugs will be killed while they are inside. You can be sure that they will all die, but the downside is that you can only kill a limited number in your home. This does not make your home clean, though it can help. If you already own a dryer, as most people do, this is also free. You just have to factor in the cost of the electricity that you will use while you heat all of your clothes and blankets. Finally, you can use bug sprays and other chemicals to kill the bugs. Many times, these lethal chemicals will kill them on contact. The same is true for the eggs. You do not have to worry that anything will survive. As with some of the other methods, the problem is just that you have to get all of the bugs for this to work. If you miss some, they will easily live.some bugs also develop high resistance to most of insecticide in the market. You can buy bottles of spray for as little as $7 and as much as $24. You need to remember that you will have to buy multiple bottles in order to treat your entire home this way. This would not be too hard. How long do you think that they could live? If you guessed a few days or even a few weeks, you are far below the mark. They can live for as long as an entire year without having any food. Simply depriving them of this is not good enough. After that, pretend you could remove all of the oxygen from your home. You can seal it off and take the oxygen out with a vacuum. This seems like it would be a clean and fast way to get rid of the bugs. This is best used in a home simply because you live there. You do not want to use a spray or a chemical because you will be getting that chemical all over the things that you own. You will be getting it on your blankets, your pillows, your floor, your walls, your rugs, and everything else that can provide a refuge for these parasites. At this time, the bugs will be dead. If you do not want to have to take everything out of your home, this is the ideal solution. Can Heat Be Used Along With Other Techniques? One of the nice things about using heat is that it certainly can be used along with any of the techniques that are listed above. If you have already used powder or spray, it is still safe to use heat to get rid of the bugs that survived. What Health And Safety Precautions Should Be Taken? First of all, it is important to note that you should not, under any circumstances, be in the home while the heating process is going on. You can your family and all pets must exit the building. Once you have eradicated the bugs, you need to do everything that you can to make sure that they never come back. A second infestation can be the most frustrating thing in the world. You will feel like your victory over the bugs has been taken away from you. There are a number of things that you need to do both inside and outside of your home in order to make sure that they do not get in again. If you are vigilant and take all of the necessary steps, you will only have to fight off the bugs a single time. This can mean putting screens on windows, caulking cracks, and tightening boards so that there is no space between them. You may even have to apply a new layer of glue to wallpaper where it has come loose. If the bugs cannot get in, you will not have to kill them. You should also store all of your linens in a place where the bugs cannot reach. You should use airtight boxes. You need to make sure that the rooms that these boxes are in have been protected as mentioned above – using caulk, screens, and the like. Outside, you need to move anything that is close to the home back so that it does not touch the house. This could mean piles of dirt, mulch, or branches. You do not want the bugs to gather in these places and then move on into your home. You also need to cut back the vegetation so that it does not touch the home. They may threaten to ruin your life and make your home a miserable place, but this does not meant that you have to let them do it. You can take back control and you can make your home into a clean and relaxing sanctuary once again. All that it takes is positive action on your part. As is shown above, heat is often the very best option that you have available to you when you are trying to rid yourself of these pests. Killing these bloodsucking bugs with heat is fast and efficient. Heat can get into cracks and it can permeate walls. There will not be any leftover residue from chemicals. 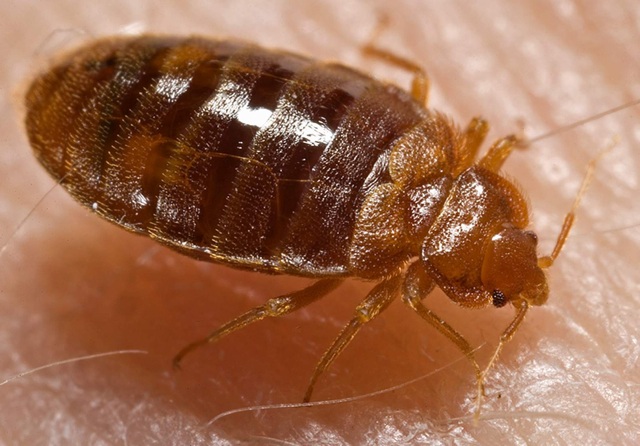 If you have an infestation, you should consider using heat to kill these parasites right away. Do not waste any more time looking for the right method. You have already found it.